Note: This is NOT a paid or compensated review, but a review of a book that I purchased for my own use. I enjoy sharing information about products or books you may like or find useful and you’ll always receive my honest and unbiased opinion. 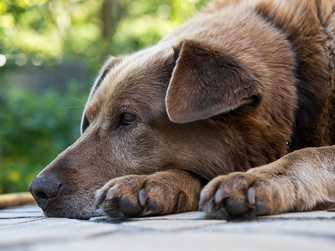 Whether you have a young pup or your best friend is growing into their senior years, it’s important to know the signs to look for when your dog is in pain. After all, unless they’re yelping, whining or holding up a limb from acute pain, they can’t easily express how they feel and we often overlook the symptoms from the onset of chronic pain. 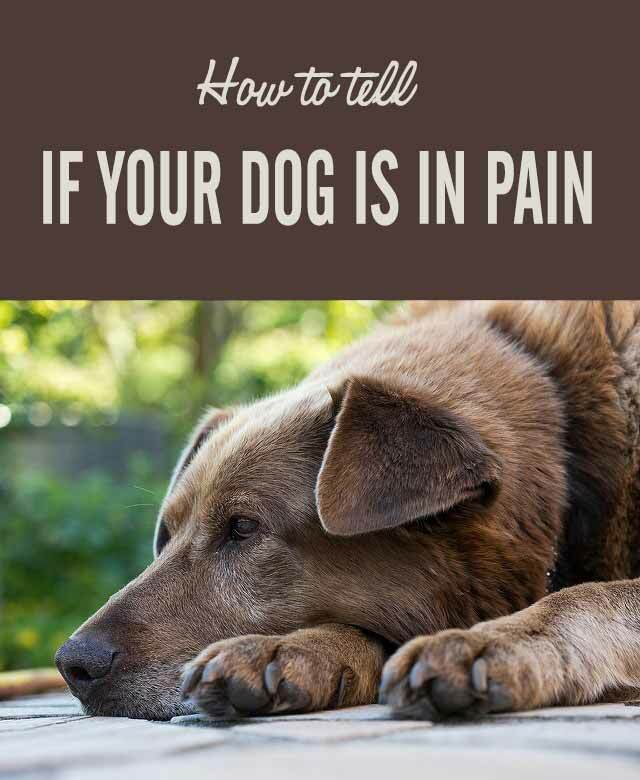 I recently read the book, Dr. Petty’s Pain Relief for Dogs by Dr. Michael Petty, DVM and it was so helpful and well written, I just have to share it with you. Since Haley’s a senior dog that’s gone through a ruptured CCL knee surgery and a few other minor surgeries, I know all about acute pain, but I failed to notice some of the gradual changes in her behavior related to her arthritis. Here are the 15 signs of pain that Dr. Petty lists in his book. I’ve noticed that Haley has six of the 15 symptoms. Unfortunately, it’s a fact of life that our dogs get older and they’re going to experience some pain along the way. But after reading Dr. Petty’s book, I feel much more prepared to help Haley going forward. I never realized there were so many different options to help manage her chronic arthritis pain and to keep her active so she can continue to enjoy all of her favorite activities. The book covers the difference between acute and chronic pain and various causes of pain, but I especially enjoyed learning about the topics below. Advice about diet and nutraceuticals, including what works and what doesn’t seem to work. Practical tips you can use for your dog, around your home and in your vehicle to make life easier for you and your pup. I also appreciated the chapter on which pain therapies to avoid as well as new pain management techniques to watch for in the near future. Dr. Petty also covers the pros and cons of bringing another pet into the home. Here’s What I Love the Most About This Book! We’re all busy these days and most people don’t have the time or patience to read an overly-technical book written by a veterinarian on the topic of pain. I know my eyes would probably glaze over before the end of the first chapter. Dr. Petty’s book is different. It gives you exactly what you’re looking for. He shares his vast knowledge and experience on the topic of pain in an easy to digest format with practical ideas and options to fit everyone’s budget. I’m so thankful that I was able to absorb all this knowledge quickly and to gain a better understanding of the vast options that are available for managing Haley’s arthritis pain. I’m also much more optimistic about keeping her healthy and active! If you have a senior dog or if you’ve noticed any signs from the checklist that your dog is in pain, check out Dr. Petty’s Pain Relief for Dogs to learn what treatments might be beneficial for your dog. I’d also love to hear your insight and advice if you’ve had a dog with arthritis or chronic pain. Share your thoughts in the comment section below! Dr. Petty’s book sounds great – both informative and interesting. I remember many of these symptoms and how they progressed with our former dog Pip. Ruby is now just starting to show a bit of stiffness. The symptoms start so gradually, they’re easy to miss sometimes. I’m glad Ruby doesn’t have too many of the signs yet and there’s so much we can do for them to keep them active and healthy now. We learned a lot about arthritis and pain in dogs with Katie. Mom is pretty in tune with us and usually notices just slight changes that call for attention. She can tell it is about time for a chiro treatment by the way I do the stairs. Then one needs to know all the options as what works miracles for one dog, may not help another. Great tips, though, as many people don’t know what a lot of the signals we give off actually mean. Your mom’s wonderful to stay on top of things, Emma and I’m glad you found what works well for you. Keep that back healthy and your nose to the ground. ? Thank you for this book review, Elaine! Those are rare, but so helpful. Thankfully, Missy & Buzz are not bothered by arthritis yet. They’re still young at 5 years of age. But it’s good to know what symptoms might be indicative of the early stages of arthritis. I try to be as proactive as I can in order to avoid it alltogether (if that’s even possible) and exercise the pups every day and add joint supplements to their raw diet. Perfect advice, Barbara! Daily exercise is one of the best prescriptions for dogs with arthritis. ? Thanks for the book review. I will have to take a peek at it. Great, Tonya! I think you’ll find it really interesting. I hope Haley feels better. It sounds like that book had really targeted advice you can use. That’s always a bonus. I’ve picked up far too many books like this that focus on prevention–which is great, but not that helpful when your pet is already hurting! Yes, I’ve read some of those too and they’re not very helpful, right? There are so many great ideas and tips in this book! ?? Sounds like a really helpful book. Rita is still young and healthy, but I suppose all dog owners probably need info like this at some point. I hope sweet Rita stays healthy and pain free for years to come! ? Ah yes, those dreaded ear infections! I’m glad you’ve got that issue resolved for Bentley. His ears are too gorgeous to be red and hurting. This is an awesome pain chart: I have one from the AVMA -a pain score sheet. We used it all the time in the hospital. I haven’t heard of this book before but clearly I’ll be on Amazon. So many simple things like the aversion to being petted and I like that he covers Acupuncture too. Awesome. I think you’ll find the book extremely useful, Christine. There are so many topics covered and so many options for pain treatment. It’s officially been ordered! I also think I may order it for a few friends that are new pet parents too. I hope you like it as much as I do, Christine! ?? Sounds like the type of book I need to add to my collection. Whether or not I want to believe it Harley is getting older and I know I need to be more knowledgeable about these things. Thanks, this was a great post. Thanks, Cathy.? The years do pass by pretty quickly with our pups, don’t they? But we’ll do our best to keep them young at heart, happy and healthy! This sounds like a terrific book! Very informative! I feel so bad because Chloe had been showing signs of what I thought was arthritis…and old age. Come to find out from a vet visit a couple of weeks ago….it is Lyme Disease. Now I feel just awful! How I wish I had known sooner. Well, the medicine is definitely helping and that is the important thing! Great post Elaine and thank you for popping over and saying hello on my blog! Oh my gosh, I’m so glad you figured that out and the medicine is working to make Chloe feel better. I wonder if that happens to a lot of people if their dogs are a little older. It would be easy to assume the symptoms might be arthritis or old age. Thanks for sharing that and please give Chloe a big hug from me and I hope she makes a quick and full recovery.? One of the big ways I can tell is that Mr. N becomes even more clingy when he is sick. He always want to be by me but when he’s sick, he wants to be right on top of me. Aw, that shows a lot of trust. I always feel bad for the dogs that want to hide when they’re not feeling well. I’m so glad you found a book with such interesting, helpful information. 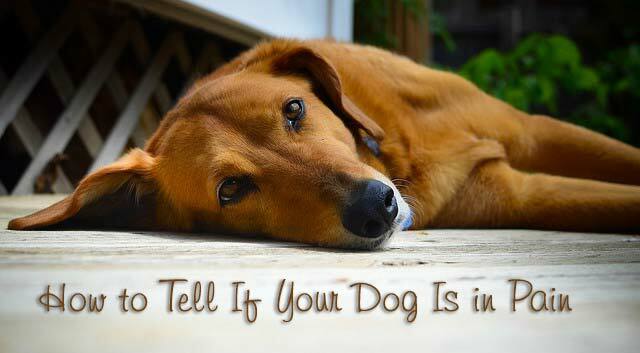 It’s definitely important to learn to recognize those little signs our dogs give us and make adjustments accordingly. When Barley is reluctant to hop onto the bed, I know she’s telling me that she needs a little more rest time and we adjust our walk intensity until she’s back to her normal bouncy self. We’ll have to look into this book! I’m so glad she didn’t have any pain from her cheesecloth adventure and everything turned out fine. ?? This book sounds great, and definitely in order for anyone with senior pets. I’ve learned as time goes on how to recognize when my girls have an arthritis flare-up, but there’s also been times when I’ve missed things. Nothing makes you feel worse than realizing your dog was in pain and you didn’t do anything about it immediately! Yes! I can’t tell you how many canine health books I gave up on, even though I really wanted to learn about the topic. Great post, I have two seniors, and I am always watching them for any signs of pain or illness. Your collies are just gorgeous and I hope they stay pain free and enjoy the good life! ? This is one book I DEFINITELY need! Shadow will be 12 years old next month and has some arthritis in both elbows, one wrist, and probably now in her left knee as well. I use massage therapy when she seems a little “gimpy”, as well as a few days of leash restrictions. This last time though required a visit to the vet. Thankfully, she didn’t tear her CCL, but to prevent it getting worse, the vet put her on restrictions for a total of 8 weeks (just one left). I have to ask Christy which book she has from the AVMA. I’m so glad Shadow didn’t tear her CCL. Hopefully it’s just stretched a little bit and will tightened up after this rest. I’ve done a little massage therapy with Haley, but it’s something I want to learn more about. I’m glad it works so well for Shadow.? Thanks for sharing this book with us, it sounds really informative. I love the checklist you provided, that is so helpful. I’d be most interested in the holistic type chapters of the book, I love learning about any natural health related topics. Yes, I was surprised so many of the natural and herbal remedies were covered in the book. I knew about turmeric, but I learned a lot about some other effective supplements and treatments. I’m always looking for a natural approach too when possible. Sounds like the book that I need. Thank you for the recommendation! You’re very welcome, Leslie! It’s a great reference to have, even if you dog’s not having chronic pain now. I’m very curious what Dr. Petty says about glucosamine and inflammatory foods. Do you have any notes jotted down about that? I recently bought Bayer’s glucosamine chewables but then realized all the “inactive” ingredients are inflammatory foods! Two kinds of sugar, plus corn, soy, and wheat. Hi Emily! As far as joint protectants, Dr. Petty’s a big fan of the effectiveness and safety of Adequan (which has worked really well for Haley). He talks about both the effectiveness and ineffectiveness of glucosamine and chondroitin but even though these supplements have been studied extensively, there’s no determination as to why they work well for some dogs and not for others. He doesn’t specifically address your question about additives, inactive ingredients or inflammatory foods with glucosamine, but he states that the best form of the supplement (for best absorption) is one that’s combined with a low molecular weight chondroitin sulfate (like Cosequin or Dasuquin). He also states when glucosamine/chondroitin sulfate is given with the NSAID Carprofen, it’s more effective and may help better protect the joints. I imagine the role of diet and various foods in respect to pain and inflammation is difficult to study conclusively, but it’s an area I would like to know more about too. If you’ve read any other books that have more insight into this, let me know and I’ll check them out this fall. I’m still debating whether to switch Haley to a raw diet to possibly help her allergies. Take care and good luck with the knowledge quest! ? thank you for sharing these. Cole had many of the symptoms. Thank you, LeeAnnna, for sharing your sweet boy with all of us. I enjoyed so many of your posts with Cole, adventuring right along beside you and exploring all the unique corners of the towns you visited. It’s so hard to lose them. My thoughts and prayers are with you tonight. ? Thanks, Linda! Feel free to contact me anytime though the link at the top of the website. 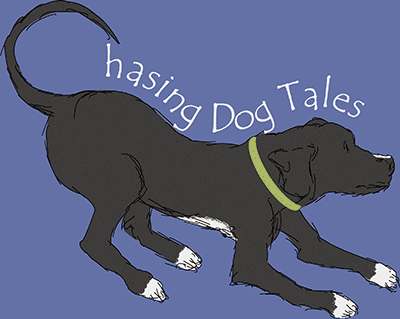 Thank you for sharing this on the Pet Blogger Showcase, and for sharing the Amazon link. I fully intend on purchasing this book. As you know Sampson has been struggling with the knee tears and strained muscles along with arthritis and I’d love some simple to understand ideas on how to help him. I’m glad you found it and I’m glad you got some good tips for helping Haley. I think about Sampson a lot as a fellow pup pal with knee and arthritis issues. I wish surgery was at least an option for him but I think you’ll find the book really useful for some insight on alternative treatment methods and lots of self-help tips to make things easier for him. Sampson is a very special dog and be sure to give him a hug from me today. ? I’m definitely going to check into this book. My oldest Husky, who is starting with arthritis and is supplements & just began medication, has 7 of the 15, and another who had double imbrication surgeries for torn CCLs & meniscuses when she was 4 has 8 of the points. I just Pinned this and am sharing over on my FiveSibes Facebook page, too. Thanks so much for sharing the post! I was surprised when I read the 15 signs that I hadn’t noticed some of the subtle changes as Haley got older. Some of the changes happen so slowly, they’re easy to miss. I hope the book is helpful for your Huskies and they can use some of the many tips and treatments options. Give them hugs from me and Haley! ? Thanks so much for the information. I have saved it to our desktop plus will be printing out the list. Our Lily is 11 years old and last winter showed some signs of joint discomfort. With this list we can catch the earliest signs of distress when cold weather sets in. With our vets advice in June we started Lily on a daily dose of glucosamine. Hi Alexa! It sounds like Lily is doing really well at 11 years old and I’m sure the glucosamine will help to protect her joints. There are so many options now for arthritis and joint issues, hopefully she’ll be feeling much better this winter. Thanks so much for stopping by this weekend! ?